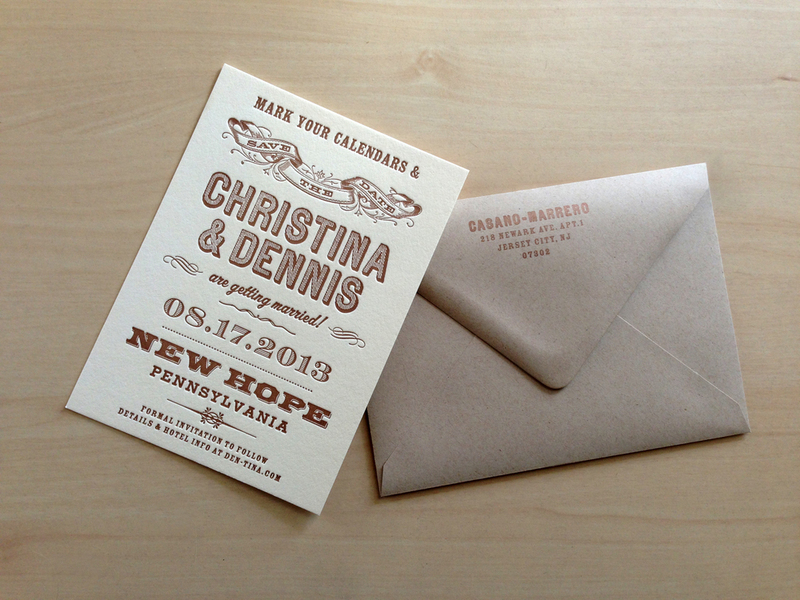 Im very excited that my good friends Christina & Dennis are getting married! Here's a save the date I designed for them. I reached out to a local Jersey City artistic letterpress shop, Metal Mermaid, run by Josh Bryant, to print these for me. They did a great job and I'm also happy to have establish a new relationship with them! Invites and more to come.